Elegant, durable, and finely crafted, our personalized valet boxes for men will be great gifts for him. 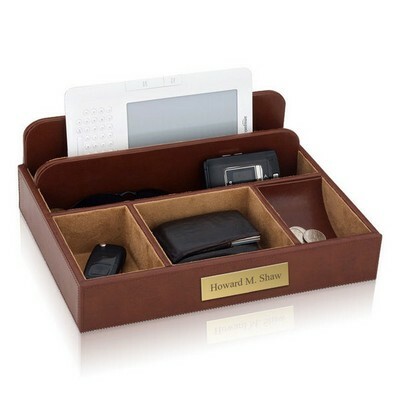 With a selection of various wood and leather valet boxes, there is one fit for any guy in mind to help tidy and keep important electronics, jewelry, and accessories in place. But what is a valet box without personalization? Our laser name engraving helps make the gift extra special, adding personal ownership to an already very exquisite product.